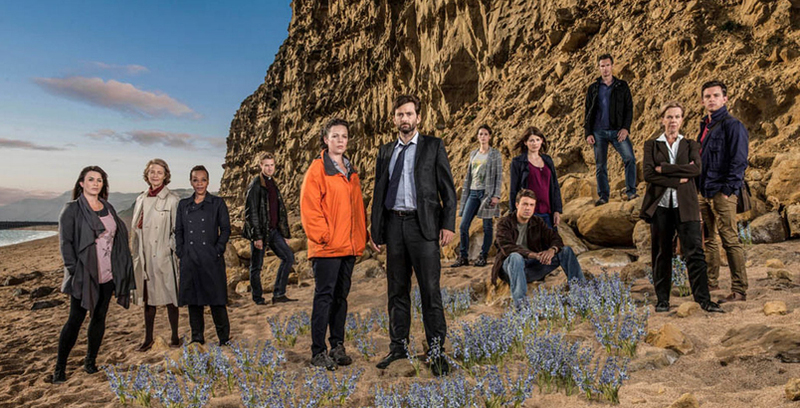 DI Alec Hardy and DI Miller Are Back in Broadchurch Series 2! It’s been nearly two years since the premiere of the hit UK drama Broadchurch starring the brilliant David Tennant (Doctor Who) and Olivia Colman. Having only discovered it after Series 1 had ended, while watching its US counterpart Gracepoint at the same time, it’s still very fresh in my mind. When I learned Series 2 would come on the heels of Gracepoint’s unfortunate demise, I was relieved to learn the story wasn’t over yet. 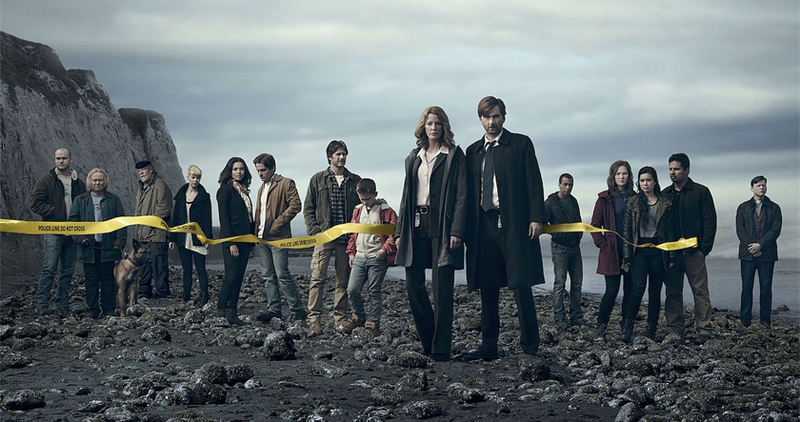 For those who are unfamiliar, both Broadchurch and Gracepoint center around the death of 11-year-old Danny Lattimer (Danny Solano in the US version), and the lives torn apart during the course of the murder investigation led by Hardy (Detective Emmett Carver in the US version – both played by David Tennant). Written and produced by Chris Chibnall (Torchwood), the murder mystery keeps you guessing until the very last minute, all the while drawing you into the personal lives of all the key players living in the sleepy seaside community. Underneath the idyllic exterior, deep, dark secrets are unearthed, and by the end, no one is left unscathed. When Danny’s murderer is finally discovered, I’m sure most audience members felt saddened and disturbed. We knew the killer would be someone close to home, but like real life, it’s never someone you’d expect – rarely some stranger, instead it’s someone you’d trust with your own children. It leaves you with an uneasy feeling. Hardly resolved. There’s no real sense of closure. There’s no sense of peace as Danny’s and Ellie’s (Olivia Colman in the UK Version and played by Breaking Bad’s Anna Gunn in the US Version) families are left to pick up the pieces of their shattered lives. But how can they? This is where Series 2 of Broadchurch begins. Joining the cast for Series 2 alongside Series 1 regulars David Tennant, Olivia Colman, Arthur Darvill (Doctor Who), Jonathan Bailey (Doctor Who), Jodie Whittaker, and Andrew Buchan, are Eve Myles (Gwen from Torchwood, Doctor Who) as Claire, Marianne Jean-Baptiste as Sharon, Charlotte Rampling as Jocelyn, and James D’Arcy as Lee. Series 2 finally sheds some light on the events that brought a disgraced (and haunted) Alec Hardy to Broadchurch after the Sandbrook murders, as Danny’s murder trial begins. Mysteries and courtroom dramas fascinate me, but you get so much more with Broadchurch. The cast is brilliant, and you believe Beth and Ellie’s heartache, you believe Alec’s obsession… you believe… You feel every moment, and I couldn’t help but have physical reactions as events unfolded. Tennant is so good at what he does I found myself both disliking Alec Hardy and finding him sympathetic at the same time, forgetting that underneath that scruffy beard was the Time Lord we all love. Broadchurch Series 2 has just ended its run in the UK on ITV and premieres tonight March 4th, 2015 at 10/9c on BBC America in the US. If you haven’t seen the series yet, I urge you to catch up with Series 1 of Broadchurch on Netflix. For more, watch the Series 2 Trailer of Broadchurch below.